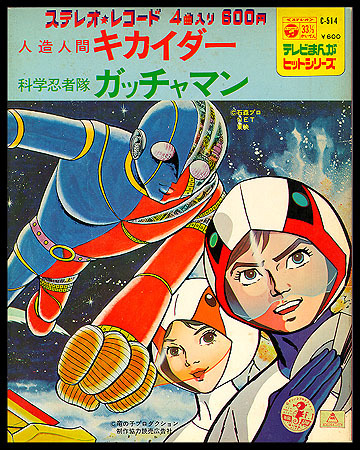 Contents: This mini 33 contained the opening and closing theme songs to another Japanese anime series called "Robot Kikaider". The opening and closing themes to Gatchaman are included on side two. This selection was odd, in that it included theme songs from shows from two different studios. Stereo. 1. Go Go Kikaider, Fight!